Our company is concerned with the manufacture and supply of Material Handling Lifting Cranes. Owing to the high load bearing capacity, easy installation and industry approved design, the offered cranes are widely asked for. Demanded in shipyards, roadsides, mines, quarries and transporting industries, these efficient cranes are tested for their performance, before the final delivery. 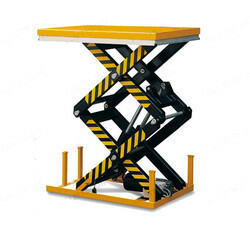 Our company is one of the celebrated manufacturers and suppliers of Hydraulic Scissor Lift that can move in the upward direction only. Owing to the low noise levels, these lifts provide vast capacity and large platform workspace. An efficient method to enhance work site productivity, the proposed array is perfect for maneuvering in tight spaces. 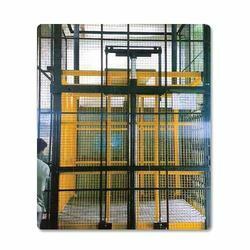 Handed over in a varied range of specifications, these material handling lifts are provided in the safe packaging. Our organization is one of the noted names of the field to bring forth Hydraulic Lifts. Available in various lengths, widths, and capacities, the proffered lifts are widely demanded in shipyards, quarries, roadsides, mines and transporting industries. Due to the low power consumption and high load bearing capacity, the proffered assemblage is widely acclaimed in the business. 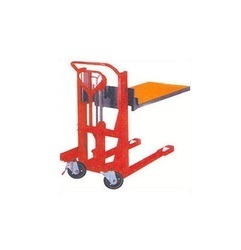 We are the manufacturer of Hydraulic Material Handling Equipment.Our variety of Hydraulic Material Handling Equipment ranges from Electric Hoists, Scissor Lifts, Portable Cranes, Hydraulic Pallet Trucks, Jib Cranes, Drum Trolleys, Fork Type Drum Trolleys, Trolleys, Weavers Beam Trolleys and more.